Tom Clancy fans rejoice! 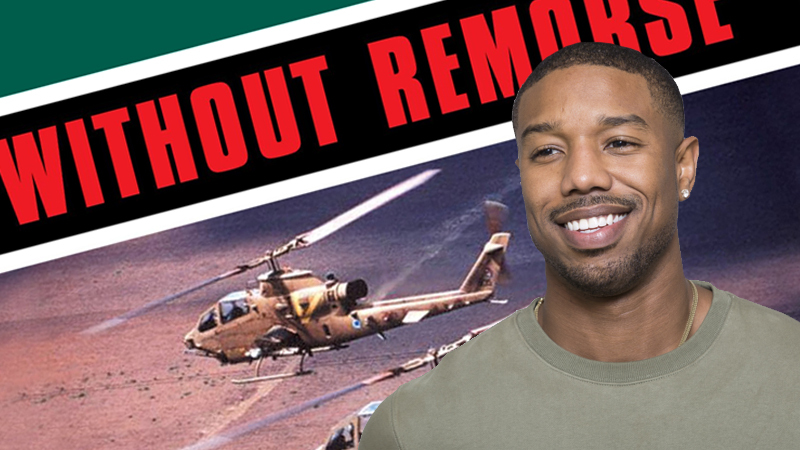 Without Remorse, starring Michael B. Jordan as everyone’s favorite cold-blooded CIA operative John Clark, has landed a release date. According to The Hollywood Reporter, the spy thriller will open on September 18, 2020 where it will face off against The Croods 2. This will mark the first time a Tom Clancy film adaptation has opened in September, as The Hunt for Red October, starring Alec Baldwin opened on March 2, 1990; Patriot Games, starring Harrison Ford, released on June 5, 1992; Clear and Present Danger, also starring Ford, opened August 3, 1994; The Sum of All Fears, starring Ben Affleck, opened May 29, 2002; and the most recent entry (not counting the John Krasinksi TV series), Jack Ryan: Shadow Recruit, starring Chris Pine, opened January 17, 2014. Jordan is set to play the role of Clancy hero John Clark, a recurring character in Clancy’s novels. Clark is an an ex-Navy Seal who became a CIA operations officer. At first, he was a secondary character who helped Jack Ryan’s missions but the novel Without Remorse made him the lead and told his origin. John Clark has appeared in a number of Tom Clancy’s novels dating back to 1988’s The Cardinal and the Kremlin, as the darker side of the Jack Ryan character who works primarily in the field and typically operates by his own personal brand of ethics. The character was played by Willem Dafoe in Clear and Present Danger, starring Harrison Ford, and by Liev Schreiber in The Sum of All Fears starring Ben Affleck. The post Michael B. Jordan Thriller Without Remorse Set For 2020 Release Date appeared first on ComingSoon.net.